Sergeant First Class Bruce Alan Grandstaff (2 June 1934 - 18 May 1967) was a U.S. Army soldier who was posthumously awarded the U.S. military's highest award for valor, the Medal of Honor, for his actions in the Vietnam War. Bruce Alan Grandstaff was born on 2 June 1934, in Spokane, WA; in 1954, he joined the U.S. Army in that city. 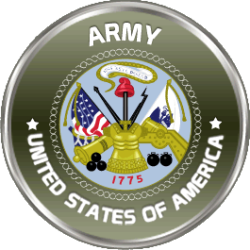 On 18 May 1967, Grandstaff was serving as a platoon sergeant in Company B, 1st Battalion, 8th Infantry Regiment, 4th Infantry Division. During a firefight that day in Pleiku Province, Republic of Vietnam, Grandstaff showed conspicuous leadership before being fatally wounded. For his heroic action, he was posthumously awarded the Medal of Honor. Citation: For conspicuous gallantry and intrepidity in action at the risk of his life above and beyond the call of duty. P/Sgt. Grandstaff distinguished himself while leading the Weapons Platoon, Company B, on a reconnaissance mission near the Cambodian border. His platoon was advancing through intermittent enemy contact when it was struck by heavy small arms and automatic weapons fire from 3 sides. As he established a defensive perimeter, P/Sgt. Grandstaff noted that several of his men had been struck down. He raced 30 meters through the intense fire to aid them but could only save 1. Denied freedom to maneuver his unit by the intensity of the enemy onslaught, he adjusted artillery to within 45 meters of his position. When helicopter gunships arrived, he crawled outside the defensive position to mark the location with smoke grenades. Realizing his first marker was probably ineffective, he crawled to another location and threw his last smoke grenade but the smoke did not penetrate the jungle foliage. Seriously wounded in the leg during this effort he returned to his radio and, refusing medical aid, adjusted the artillery even closer as the enemy advanced on his position. Recognizing the need for additional firepower, he again braved the enemy fusillade, crawled to the edge of his position and fired several magazines of tracer ammunition through the jungle canopy. He succeeded in designating the location to the gunships but this action again drew the enemy fire and he was wounded in the other leg. Now enduring intense pain and bleeding profusely, he crawled to within 10 meters of an enemy machine gun which had caused many casualties among his men. He destroyed the position with hand grenades but received additional wounds. Rallying his remaining men to withstand the enemy assaults, he realized his position was being overrun and asked for artillery directly on his location. He fought until mortally wounded by an enemy rocket. Although every man in the platoon was a casualty, survivors attest to the indomitable spirit and exceptional courage of this outstanding combat leader who inspired his men to fight courageously against overwhelming odds and cost the enemy heavy casualties. 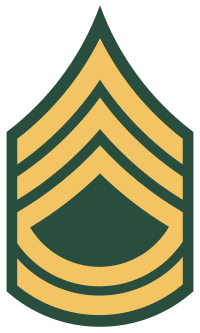 P/Sgt. Grandstaff's selfless gallantry, above and beyond the call of duty, are in the highest traditions of the U.S. Army and reflect great credit upon himself and the Armed Forces of his country. Bruce Alan Grandstaff's name is inscribed on Panel 20E - Line 28. Sergeant First Class Bruce Alan Grandstaff was killed in action on 18 May 1967. He is buried at Greenwood Memorial Terrace in his hometown of Spokane, WA.